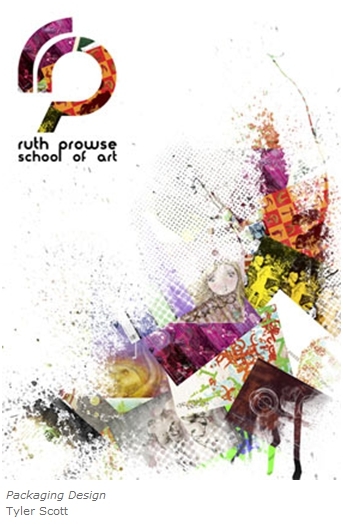 The Graphic Design course at the Ruth Prowse School of Art is aimed at the student who wishes to become a professional within the broad field of design and/or illustration. The broad subject base enables students to acquire a wide variety of professional skills and a thorough knowledge of visual communication. Competence in generating both hands-on and digital artwork affords greater scope for the students. Small classes forge a strong group dynamic, which prepares students to work as part of a team in a professional studio, as well as allowing for individual interaction with lecturers. Instilling a sound work ethic through professional practice and business management skills, also allows students to establish themselves as successful, independent designers and entrepreneurs. Time management, meeting of deadlines and the ability to work under pressure are emphasized as being crucial to adaptation and survival within the industry. Simulation of industry practice includes student presentation of their work as though to a real client or superior in an agency. Critique sessions that facilitate group discussions, are an integral part of the feedback and assessment procedure of this course. Many projects are based on interaction with real clients and freelance assignments are encouraged. As part of professional practice students participate in compulsory internships at businesses within industry. This experience in job-shadowing is a vital exercise in familiarization with the working environment. In order to stay abreast with latest trends and technological developments, the curriculum is continuously updated. Tuition involves the integration of theory and practice and final year students produce a professional portfolio with a related dissertation. Students also acquire all knowledge required to utilise the appropriate computer technology. The course is run by a dynamic team of lecturers who are specialists in their fields. All the lecturers are encouraged to be practising designers and illustrators so that they are aware of all the latest cutting edge trends. The Staff are committed to assisting students to realise their full individual potential. The School has a high quality educational structure within a friendly creative atmosphere. Classes are purposely kept small to facilitate individualised attention. Students are exposed to the industry with the opportunity to work shadow, engage in projects with real clients and freelance opportunities. Students are required to have successfully graduated from Grade 12 with a National Senior Certificate. A combination of recognised NSC (National Senior Certificate) subjects, with at least 30% in the Language of Teaching and at least 40% in 4 recognised NSC 20 credit subjects should be achieved. 1 Logo for the student’s favorite band in pencil or ink on A3 (30 x 42 cm) cartridge. 1 Realistic Self-portrait in pencil, paint or ink on A3 (30 x 42 cm) cartridge. 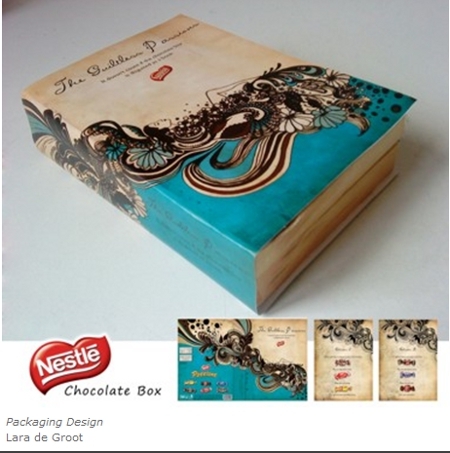 1 Poster including images and text for a social purpose on A3 (30 x 42 cm) cartridge. 1 Illustration of fruit or vegetables for packaging in coloured crayons on A3 cartridge. 1 Created Pattern, as a symbolic self-portrait (reflective of your self), in mixed media on A3 cartridge or board.